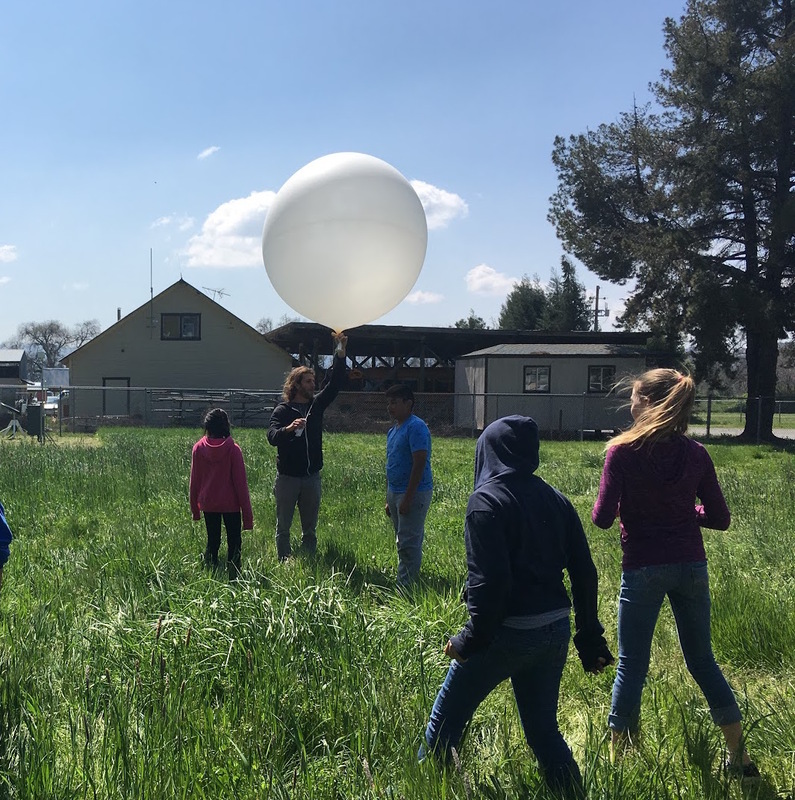 CW3E’s Reuben Demirdjian and Anna Wilson recently conducted a demonstration radiosonde launch at the Potter Valley Fire Department for the Potter Valley Elementary School in the Russian River Watershed. The 5th and 6th grade classes, taught by Lori Clark and Merri Emerson respectively, were very enthusiastic participants in the demonstration launch. During the event the students showed their interest while asking a seemingly endless supply of questions about how the information is collected and why it it is useful. The students wrote a message on the to be launched radiosonde’s plastic exterior (Go Bearcats! ), and released the balloon. Topics covered included the research done with the collected data, how the information gained from our experiments might help their strong agricultural community, why the balloon expands as it rises, what the sensors attached to the balloon measure, and how far the balloon might go (atmospheric layers were discussed!). Reuben and Anna, along with CW3E’s Douglas Alden, were also able to interact with the same classes at the start of the 2017 field season in January, when they deployed ground instrumentation including a vertically pointing radar, optical disdrometers, rain gauges, and more instrumentation at the Potter Valley Fire Department. The instrumentation at the Potter Valley Fire Department site has collected a valuable dataset over this historic winter season and CW3E is grateful for the support and collaboration and looks forward to a strong relationship going forward. CW3E graduate student Reuben Demirdjian gets ready to hand off the radiosonde and balloon to two capable Potter Valley Elementary School students to sample a vertical profile of the atmosphere; Potter Valley Elementary School students watch the balloon ascend.